Lightroom is a pretty amazing piece of software. 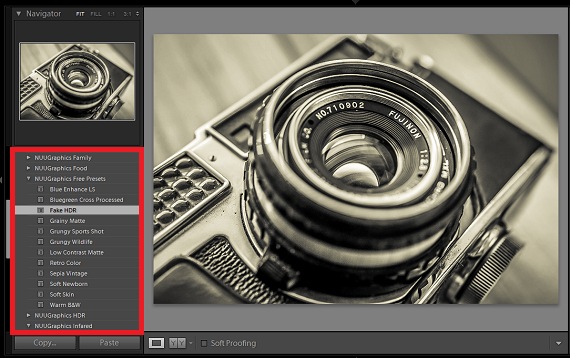 One nifty feature are presets which allow you to save settings and apply them to a different photo at a later time. You can either make your own or download the many available on the internet but the question stands… how do you install them? Well, don’t worry, in this short tutorial we’ll show you exactly how to install Lightroom presets. The process is quite simple actually. If your files are in a zipped or RAR file, then the first thing you’ll want to do is extract your presets onto your desktop or somewhere you can easily find them. The preset files themselves have the file extension of “lrtemplate.” This is how you know it’s a preset. After you have extracted the files, the next step is to open up Lightroom, click on the develop tab, then navigate to the left-hand side and look for the presets area. You’re going to want to organize your presets, so in this section simply right-click and hit new folder. Name it whatever you want and then while selecting the new folder, right-click again and click on import. Now you’re going to find the “.lrtemplate” files again and select them. After you have selected them, click open and now your presets will be loaded into Lightroom. You may need to restart Lightroom just in case. Some presets you download may already be inside of a folder which is the case for our presets here at NUUGraphics. In this situation, we recommend this method for getting your presets into Lightroom. Similar to Method 1, you’ll need to extract the folder that is located inside the zipped or RAR file preferably to your desktop. Open up Lightroom and go to Edit → Preferences. Click on the “Presets” tab and then click on the button that says “Show Lightroom Presets Folder.” Next, select the “Lightroom” folder and then the “Develop Presets” folder. Drop the folder that you extracted earlier into here. Now restart Lightroom and you should be good to go. And there you have it. Two methods for easily installing your Lightroom Presets. If you enjoyed this resource, please share it with others. And if you’re in need of some killer new presets for your collection, come check out our selection of premium presets or if you’re just testing the water, then check out our free Lightroom presets.